A rising interest rate cycle. 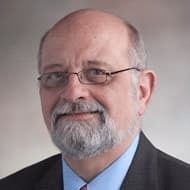 A trend that has only been accentuated by the Federal Reserve’s aggressive plans to accelerate interest rate hikes and ongoing concerns over an impending major stock market correction. And while it is too early to jump on the “Death of the Bond Bull Market” sentiment swirling around Wall Street, the current direction of interest rates could be worrisome for U.S. oil producers. You see, any way you look at it, a wide swath of U.S. oil and natural gas producers are going to take rising rates on the chin. Bankruptcies, mergers and acquisitions, and asset sales one step ahead of the sheriff will be increasing. That doesn’t mean there’s no profit to be made here… On the contrary, in fact. The current collision between Fed interest policy and U.S. oil and gas operators reminds me of a problem that first started to appear in late 2014. That means the companies rely on debt to cover the bulk of near-term operating costs. Proceeds from sales are (more often than not) employed to cover dividends or stock buybacks. In fact, if left only to the revenue derived from sales, many producers would go belly-up rather quickly. As a result, they resort to taking out credit. Now, this is not as strange as it may seem. In fact, for most producers, this was a very manageable arrangement. 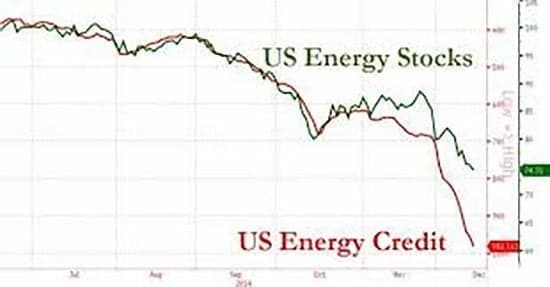 The ability to use oil that hasn’t been drilled yet as collateral for a line of credit becomes problematic once the price that oil can command declines significantly. Which is precisely what began in earnest at the end of 2014. You see, as the spread intensified, it put downward pressure on U.S. producers. For example, as oil prices started to fall in 2014 after OPEC opted not to cut production, equity values for publicly traded American companies declined as well. But the overall affordability of available credit declined even faster. The result was the largest bankruptcy spike in decades. 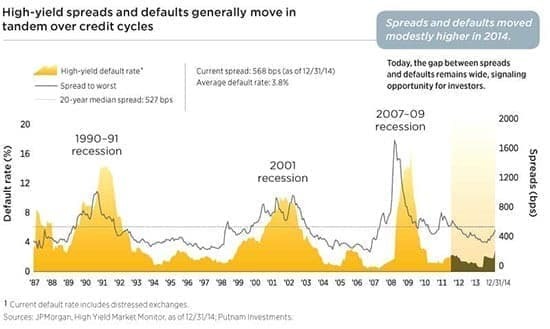 You see, there is a historical connection between a widening yield spread and company defaults. Now, some analysts believe that the situation we’re seeing today won’t be as bad as what we saw back in 2014-2016. 3. And a balance is forming between supply and demand. To start, even though the West Texas Intermediate (WTI) oil price is currently at $62 a barrel, what the operator receives is much less. It’s called the wellhead price, the first arms-length transaction in the field between producer and wholesaler. That tells a very different story. 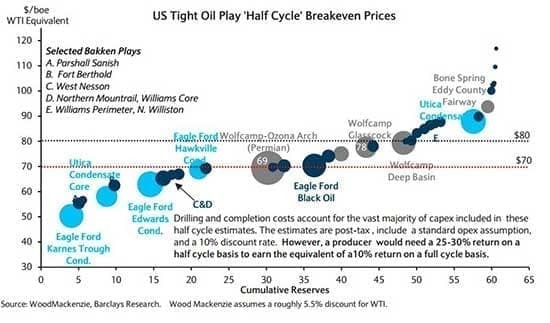 The key here is the number of “half-cycle” fields available for further production. 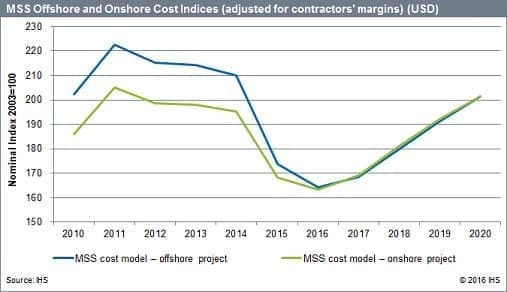 Even at current prices, it remains a losing proposition for most operators to commit capex to opening new “full-cycle” projects (and their associated infrastructure expenses). Meaning that higher oil prices are simply not enough. You see, there is a historical connection between a widening yield spread and company defaults. Related: What Is The Right Price For Oil In A Balanced Market? Which brings us to the second point: increasing efficiency. From the onset of the OPEC-induced downward pricing cycle, U.S. producers found ways to cut costs by at least 17% across-the-board. That helped somewhat… but it also had a declining advantage. Most of the savings were passed upstream in the cutting of costs charged by oilfield service (OFS) providers. That has ended with the renewal of increasing drilling and rising OFS charges. In addition, cutting corners on supplementary expenses has bought some time, but deferred maintenance on infrastructure has also pushed forward bills that now are coming due. Meaning those elements contributing to increasing efficiency in operations are not available this time around. All while the costs of doing business are rising. Finally, we have the balance between supply and demand. While the combination of increasing U.S. exports and the deepening problems in certain OPEC producing nations (e.g., Venezuela, Nigeria, and Libya) has allowed for an increase in overall volume from U.S. companies, the expected rise of aggregate production to well above 10 million barrels a day will begin to put pressure on oil prices. While this is not likely to result in any pronounced selloff, it also will not be able to absorb the expected further rise in domestic volume. 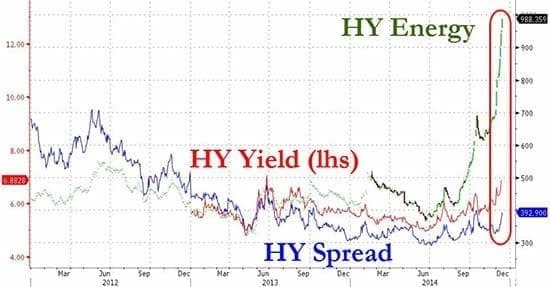 Fact is, what makes this impending rise in high yield energy bond rates so different from what transpired in 2014-2016 is the source. This one is emerging from a direction in the broader bond market pressures. Given the disposition of the Fed and the attitude of investors, this one is likely to be longer-term. While manageable, I am now expecting another round of debt problems for some producers. But on the flipside, this sort of pressure always provides some nice investment opportunities in both the insolvency and M&A markets. And you can rest assured that I’ll be keeping you updated as those investment opportunities arise. I think that thier will be lp gas cars in near future,as well as electic cars ,very changing high teck world right .let rest of world fight for oil and gas,as we w use our resoursrs.